We’ve been missing one of our very favorite television shows since its final episode aired a few years back. What Not to Wear was once a weekly ritual and thank goodness for reruns. Yes, the transformation of the contestants was amazing to see, but we love applying all of Stacy and Clinton’s tips to our own fashion. One of our favorite tidbits from What Not to Wear is this… Color, Texture, Pattern and Shine add visual interest. Funny thing is this is applicable to so much more than fashion. Pay attention as we apply Stacy and Clinton’s rule to home decor and furnishings. Simply put, every room should have some color that stands out and makes a statement. Whether you choose rich jewel tones, a soft pastel palette, warm earth tones or high contrast primary colors, you must have some color to bring your room to life. Carefully select which piece(s) you wish to bring in your pop(s) of color. These do not necessarily have to match, but should go well together. (Another What Not to Wear tip!) 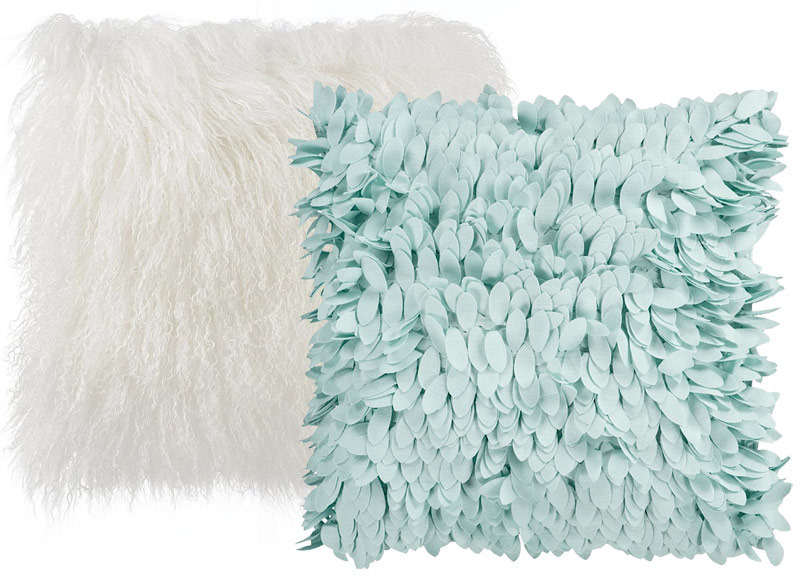 Once you have chosen these statement pieces, you will want to select some neutral colored items to fill in the rest of your room, so you don't overdo it. Remember, you can always bring in more color with your finishing touches, using pillows, vases, and various accents. The feeling of a room can change dramatically depending on the texture of the pieces of furniture and accents. Think about the difference between a room with a leather sofa, a low pile rug, chrome and glass side tables and sleek lighting, and a room with a cushy sofa, shag rug, a wooden coffee table and soft lighting. Texture can completely change the feel of your room, making it feel cool, warm, elegant or casual. You'll need to decide which feeling you wish to evoke in your room and choose pieces accordingly. Just try to experiment and mix things up a bit. The idea is to combine various textures to create interest and dimension. Something Stacy and Clinton say about pattern holds true to home decorating. Contradictory to what we were taught, you are not limited to only one pattern. Revolutionary, we know! Again, more than one pattern is fine, even recommended, as long as the patterns go together. You probably do not want to choose two bold patterns, but combining a bold pattern with a more subdued one that compliments it is a great idea. 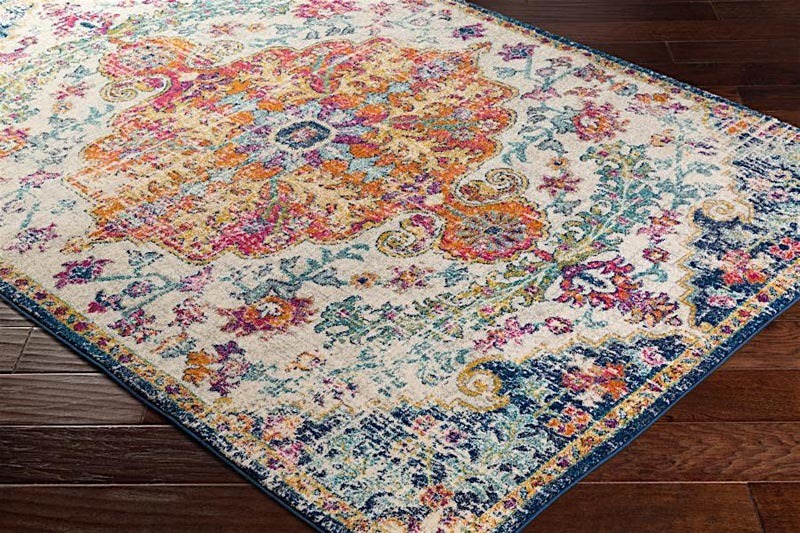 You can apply this to your room by choosing one main patterned piece, like a rug or maybe some great pillows. Then add more complimentary pattern with a chair or maybe a piece of art. The possibilities are endless, and there is no wrong way to combine patterns as long as they go together. Patterns are a great way to show some personality, so think about what represents you. 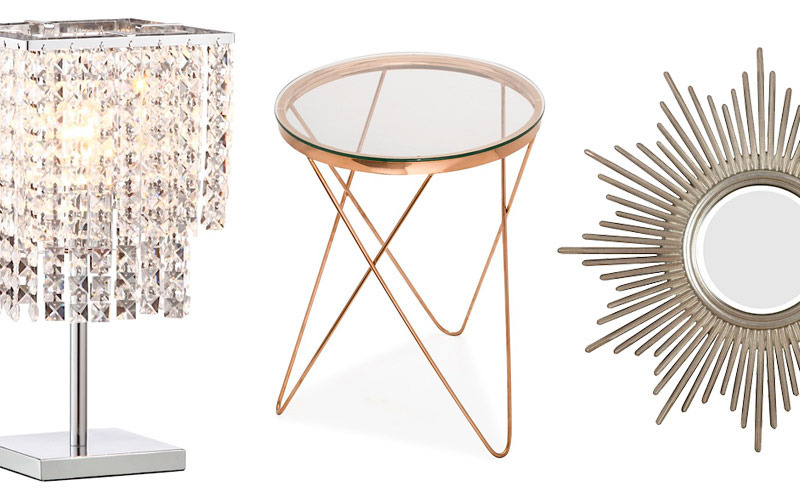 You can bring a room to life with items that have a little bit of shine, whether they are a large piece like a dining table or smaller accent pieces such as candelabras and frames. The element of shine brings richness to your room depending on the look you are trying to achieve. You may choose gold for a little glamour, chrome for a bit of edge, high gloss for a mod feel or glass for its translucent gleam. We like to think of adding shine as you would a piece of jewelry. You do not want to add too much, but in moderation, shine can dress up a room or add a playful touch. You can even mix it up as long as you choose complimentary pieces. 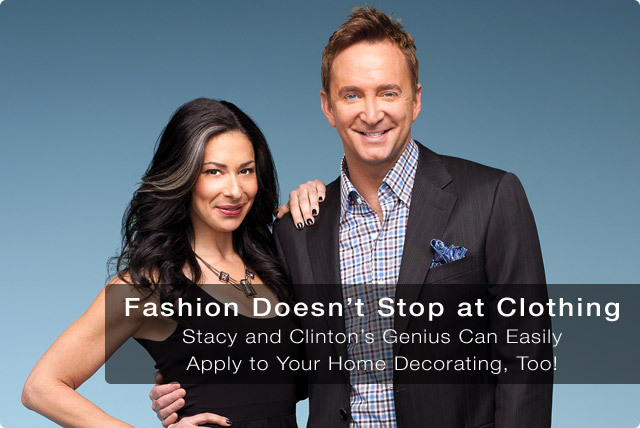 We can't bring back Stacy and Clinton, but we can continue to use their advice when dressing ourselves and our homes. Have fun, express yourself and don't forget that it is okay to wear white after Labor Day. Even if that white is a lovely, white leather sofa!